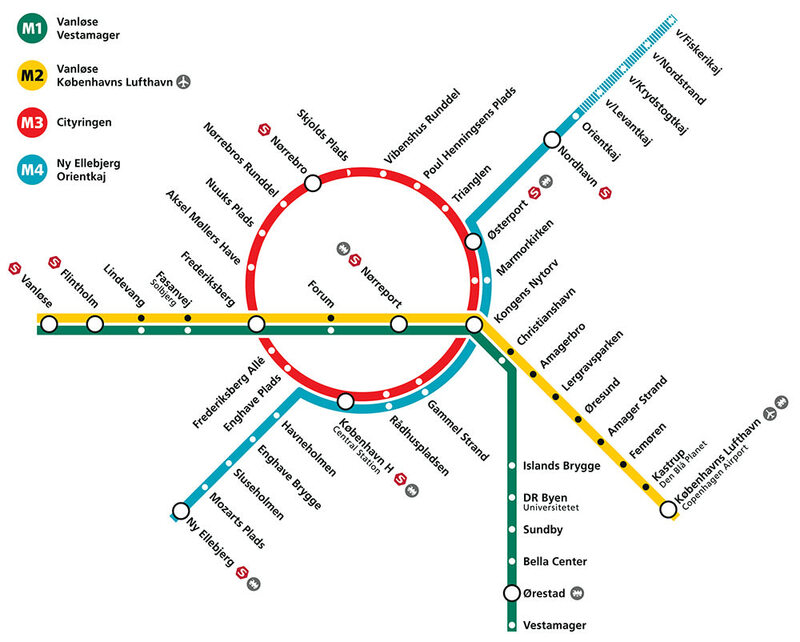 Cityringen is the new City Circle Line (Cityringen) of Copenhagen metro which is expected to be completed by July 2019. It is considered by many to be the biggest construction project conducted in the city the last 400 years – and BIM had a significant contribution, writes Anastasios Koutsogiannis. The construction of Cityringen is based on the same standards and principles as the existing metro network. The new line involves 17 underground stations and its total length is expected to be 15.5 km. Cityringen will have two new lines (M3 and M4) and it is anticipated to reduce commuting time significantly. That’s extremely important as the city relies heavily on public transportation and certain parts of the city centre are connected only by bus. For that reason the bike is considered many times as the most time-efficient way to move around the Danish capital. According to Movia, the Danish public transport provider, 34 million passengers are expected to switch from using the bus to using the metro annually after the inauguration of the new City Circle metro line. After the completion of the line, 85% of all educational institutions, homes, and professional spaces located in Copenhagen’s inner city centre or the neighborhoods nearby will be a maximum of 10 minutes on foot from either a train or a metro station. 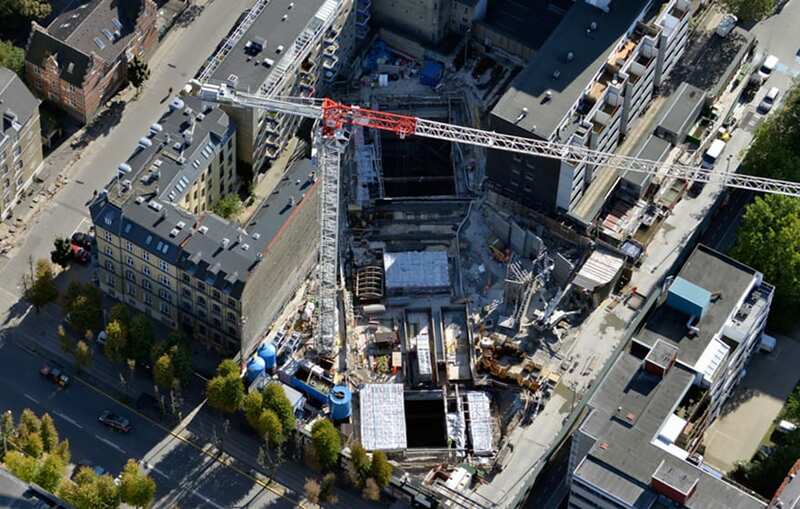 A massive project such as Cityringen has a plethora of challenges that need to be taken into serious consideration in the course of the construction process. For instance, the involvement and integration of numerous stakeholders and the extremely complicated verification and approval procedures could really harm the project unless the right programme and methods are in place. 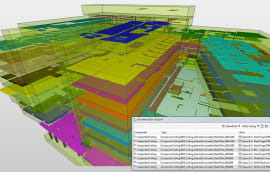 BIM technology has played a substantial role in the entire process so far. SWS Engineering is responsible for the implementation of BIM solutions in all 17 stations of the Copenhagen Metro project in an effort to minimise interference and design inconsistencies. Furthermore, SWS supports the design and quality control processes during the construction phase. 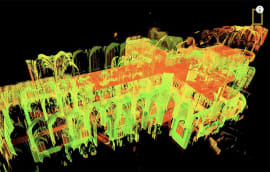 The use of digital BIM models has resulted in better precision during the development of the project, limited delays and optimised the entire design process. SWS was aiming from the beginning to produce highly accurate models, including all project information which can subsequently be offered at the service of the different project stakeholders. In other words, we are referring to a constructive modelling approach. 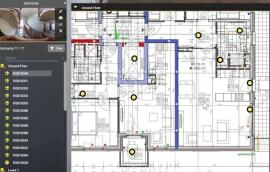 Building an ad hoc workflow which is able to adapt to the ongoing project needs can eventually lead to an improved and shorter design cycle, which helps people on and off site to collaborate and work more efficiently. Simply put, BIM solutions have facilitated the verification of design information and have opened the accessibility to the project data. 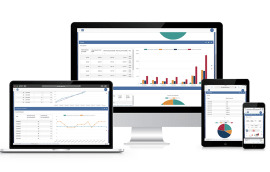 All project stakeholders can effortlessly share models and documentation through cloud servers. As a result, reliable graphic information models can be generated in a simple, fast and straightforward way. BIM specialist BIMon has also played a role in the implementation of project, supporting the structural and executive design of the Aksel Møllers Have Station. The creation of a BIM model (LOD 350) helped in optimising decisively the management of the numerous structural elements. The calculation of the reinforcements was the main area of focus. The model played a substantial part in the interference identification process thanks to the enablement of continuous clash detection cycles. Last but certainly not least, BIM has functioned as a tool for verifying the technical feasibility of the suggested additions/changes to the project. With the help of the generated models, it was possible for the team to make the right decision and lock delays out of the design process. With the inauguration of the new line, the Danish authorities hope that the use of cars in the city will be significantly reduced and that even more people will eventually get motivated in choosing the metro and the suburban railway as their primary means of transportation. Like that, Copenhagen will manage to come one step closer to its ambitious “CPH 2025 Climate Plan” according to which it will become the first carbon-neutral city in the world by 2025. There are 17 new stations and, by extension, 17 new construction sites are part of the project. Furthermore, there are two tunnel work sites and three tunnel construction sites. The total cost of the project is estimated at 21.3bn Danish kroner (£2.53bn). The new line’s underground railway will be around 15.5 km long. The average depth of the tunnels will be approximately 30 meters. The entire metro line will function on a 24/7 basis. Automatic driverless wagons will be used. The average traveling speed through the city is estimated at 40 km/h, (including the stops at stations). 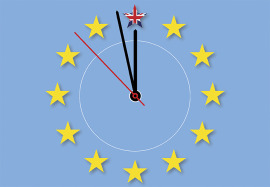 The journey around the entire circle line will last approximately 24 minutes. In the same sense, the longest single trip is anticipated to last 12 minutes. Cityringen will be completed in 2019.